This season, join the SCCF Native Landscapes & Garden Center for a series of workshops & events highlighting the beauty, diversity, and versatility of our nativeplants. In its inaugural year, these experiences are aimed at introducing novice and experienced plant lovers to unique ways of utilizing native plants and providing for our local wildlife. The workshops (except the theatre field trip) are all hands-on, so get ready to be creative and dig in! All workshops take place at the SCCF NativeLandscapes & Garden Center at the Bailey Homestead, 1300 Periwinkle Way, Sanibel. The theatre outing takes place at the Florida Studio Theatre in Sarasota, though carpooling is being coordinated through SCCF. More information about individual dates and how to register is listed below. 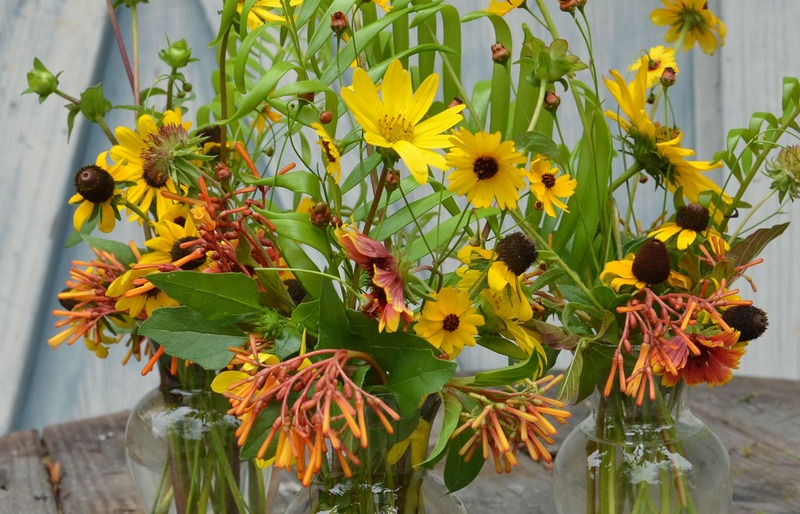 Create a native plant arrangement for your favorite Valentine! Tips and tricks for utilizing native plants in cut arrangements will be discussed in this hands-on workshop. All plant materials will be provided; bring your own container or vase appropriate for a variety of cut flowers and foliage. RSVP to the Native Landscapes & Garden Center at 239-472-1932. Registration: $10. Did you know that Florida beekeepers produce over a dozen different types of honey? Learn how local beekeepers extract honey from their hives and taste a variety of different types of Florida honey. A demonstration will be given, along with sampling to follow. RSVP to the Native Landscapes & Garden Center at 239-472-1932. Registration: $10. The Karen Zacarias play "Native Gardens,"...is one of the very few contemporary comedies about racism, sexism, ageism and cultural privilege. It's a warm-centered and potentially empathetic piece, set in a pair of Washington-area backyards, that holds on to the fast-receding ideal that we should all be able to live next door to each other, whatever our background, age and politics, even as the play rightly observes that such harmony cannot exist without some willingness for self-examination, especially on the side of the fence where historical privilege has resided. The metaphor of import is a garden, tended by Frank Butley, a former federal employee whose style of choice is the formal English garden: ivy, geraniums and the like, all carefully cultivated with the help of a little insecticide and the support of a loving fellow-Republican wife, aptly named Virginia. When a new couple move in next door, a Chilean lawyer named Pablo Del Valle and his American wife, Tania, a doctoral student with a kid on the way, initial over-the-fence encounters are friendly, even though Frank and Tania (who prefers the nativewildflowers that Frank deems weeds) quickly figure out that they have very different conceptions of what should be in a garden, the proximate representation of the natural world being yet another thing on which Americans often fail to agree. Contact SCCF’s Native Landscapes & Garden Center at 239-472-1932 for more information and to reserve your spot! Please note: Advanced payment is required and reservations must be received by January 30th.